Use Formotus workflow mobile forms with SharePoint to route jobs, create approval workflows, and dispatch field service workers. Turn your iPad, Android, and Windows 10 tablets into a real-time dispatch system. A typical scenario is dispatching a field technician or inspector to a remote job location. That can be done many ways. Watch a short video about using the Formotus service and SharePoint to dispatch an inspector. The essence of dispatch is the need to let a mobile workforce know where to go, when to go, and what to do there. Sales calls, safety inspections, home health care visits, insurance investigations, merchandising surveys any kind of activity that involves being directed to a location to do an activity and report back fits the model of a dispatch scenario. Companies without mobile dispatch software usually either send mobile workers out with a stack of paper dispatch forms, or they use phone calls or messaging to convey new tasks as they arise. Formotus has invented an elegant alternative — mobile dispatch forms that both send the worker out to the job and let him report back on the results, all over-the-air using forms that can also be used with Microsoft Office. Formotus mobile workflow forms support a wide range of dispatch scenarios on mobile devices such as iPad, iPhone and Android tablets and smartphones. Service companies (HVAC, plumbing, computer repair, etc.) can dispatch technicians to a job site with instructions on what needs to be fixed. Data collectors (inspectors, surveyors, estimators, investigators) can submit their findings from the field, complete with photos and diagrams, using the same mobile form that told them where to go and what to do. Home health care providers can be assigned patients to visit. Delivery drivers can be sent to their destinations and return proof of delivery forms complete with signature and GPS coordinates. Process Workflow. Complex multi-step workflows can be defined around company business processes. A request form, for example, might be routed to different people for approval, completion, verification, and archiving. Social Collaboration. Agile frameworks can be created that empower mobile users to drive the flow of a project. Jobs can be assigned and reassigned to individuals or groups, or each mobile user can choose which job to grab next – and SharePoint check-out protocol prevents two users from grabbing the same job. How do these workflow mobile forms differ from other Formotus forms? The easiest way to understand the difference is to think of paper forms. First picture a thick pad of blank paper forms on a clipboard. Tear one off, fill it out. Tear another off, fill it out. 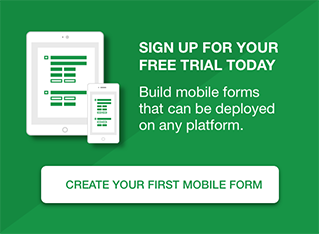 Keep incomplete mobile forms on your clipboard for later. Submit them when you’re done, and never see them again. 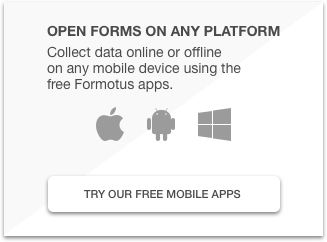 That’s how regular Formotus mobile forms work to replace the clipboard, except of course there’s no paper, no limit on the number of forms, and no need to drive the forms to HQ because they submit over the air. Now picture instead a paper form that’s not blank. Someone has already written your name on it, along with instructions on where to go and what to do there. Maybe you are handed ten different assignments at once, so you grab the forms, stick them on your clipboard and hit the road. When the jobs are completed you mark them completed and return them to the office. Are these forms sent by email? Or is this a browser-based solution? None of the above. The mobile user opens the Formotus Pro app and sees jobs he has received. When he completes and submits a job, it disappears from the list. What’s really happening is that the app is making a direct data connection to a SharePoint site to query and submit form data. This is explained in greater detail below, but the short version is that no email and no browser are involved. How does this compare with SharePoint workflows using SharePoint Designer? Formotus mobile workflows are built around device-side filtering that determines which InfoPath documents in a SharePoint form library are visible to a particular mobile user. In its simplest version, for example, each mobile user sees only the jobs that are assigned specifically to that individual. A ‘job’ is created as a new form and information is entered into it by the dispatcher. This is actually a new instance of an InfoPath form template created in a SharePoint library, but the mobile user doesn’t need to know that. A mobile user sees a job in his to-do list if it meets certain defined requirements (for example if it is assigned to that user, matches today’s date, and is not yet completed). This is actually the Formotus software offering the mobile user a custom-tailored view of the SharePoint library, but it looks more like an inbox or a to-do list. The mobile user ‘grabs the job’ while online so he can open it later even if offline. Behind the scenes, the mobile user is actually performing a check-out of the InfoPath instance from SharePoint. The mobile user opens the job anywhere, anytime, even offline. The dispatch fields are already filled out, typically ‘where, when, and what’ to do. The mobile user finishes filling the job form, submits it, and it disappears from the to-do list. What’s really happening is that the form has been checked back into SharePoint with new information in it. Because it has been completed, it no longer shows in the mobile user’s custom view. If no connection is available, the form stays in an outbox queue until the data connection returns.